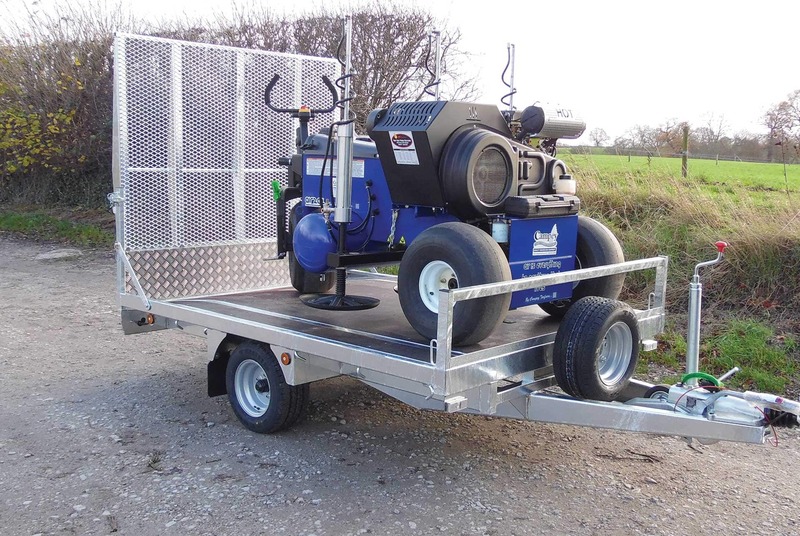 Specialist easy-load trailer for transporting machinery on roads and across turf areas. Designed to transport the Air-2g2, it will also accommodate other popular turf machinery like Toro Procore, John Deere Aeracore, and small ride-on mowers. Fully roadworthy, with brakes & lighting, the tail-board ramp lowers to allow safe and easy loading, & the tie-downs supplied will secure machinery in place. Supplied with spare wheel.